The VTX Olympic Grip Weight Sets GOSS-300V is what you need to keep up with your workouts? The Troy VTX line of coated grip plates offers superior quality and looks at a great price! The VTX Olympic Grip Weight Sets GOSS-300V offers stylish Coated VTX Olympic Plates with a three grip design. Plus, this 300 lb Olympic Set comes complete with the Troy USA Sports GOB-86 Chrome Olympic Bar. This Troy VTX 300 lb Olympic Weight Set offers a light commercial grade olympic grip plate combined with a home use olympic bar. Call 1-800-875-9145 to speak with one of our fitness advisors with any questions you may have about any of our barbells and plates. Get Motivated! 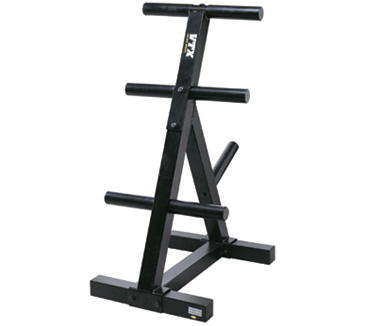 - Step up your fitness program today and go to FitnessZone.com to order your VTX Olympic Grip Weight Sets GOSS-300V. 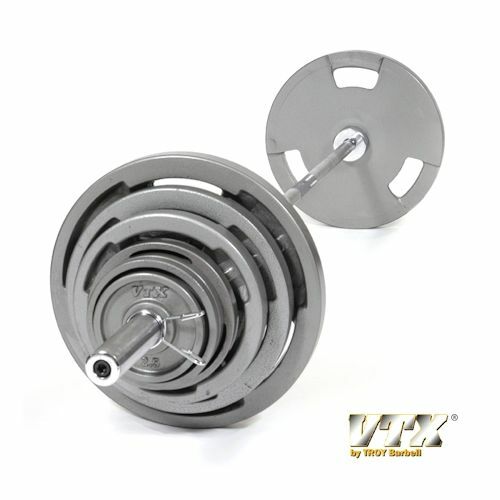 Order your VTX Olympic Grip Weight Sets GOSS-300V from FitnessZone.com today!